Effective communication on the internet depends on a number of different factors. It’s arguably one of the most important steps to getting your business ideas across to your audience. Whether you’re a solopreneur, a small business or a startup that’s failing to garner a loyal audience, we’ve put together some ideas on how you can effectively communicate with your audience over the internet. This will help your brand grow, it will draw in more qualified leads and it will ultimately improve your image. If you’re not doing your part to engage with your customers, then you’re not effectively communicating with them. Social media websites like Facebook and Twitter, when used effectively, can raise your brand awareness and bring new customers in the door. But don’t just use those platforms to only showcase your new products or services or make it all about you. Leverage your efforts by getting to know your ideal customers’ buying criteria so you can sell more by genuinely providing the solutions they want and need. And, most of all, be responsive! If you’re wearing all the hats in your business, simply getting back to people can fall through the cracks, but if people tag you, ask you for support or submit a question to you, these are your hottest prospects! Show that you care by responding to them and you’ll be on your way to having a lifelong fan. Just being on one social media may or may not be enough to get you in front of your ideal customers, unless you’re dedicated to totally slaying it on that platform. You want to look at all the options - Twitter, Instagram, Facebook and LinkedIn, among the most popular - and determine on which ones your audience is most active. Not everyone uses Twitter and not everyone uses Facebook. Different audiences will use different social media platforms and focusing your efforts on the one to three best platforms for you will ensure you get maximum visibility with your ideal clients, while you avoid overloading and overwhelming yourself by trying to be on more social media platforms than you can effectively handle (at least until you outsource or hire someone to help you with your social media presence). Whether it’s relying on analytics to see when your audience is most active or relying on a third party to help you grow your exposure, it’s important to get some marketing help whenever possible to ensure that you’re focusing your efforts in the right place. 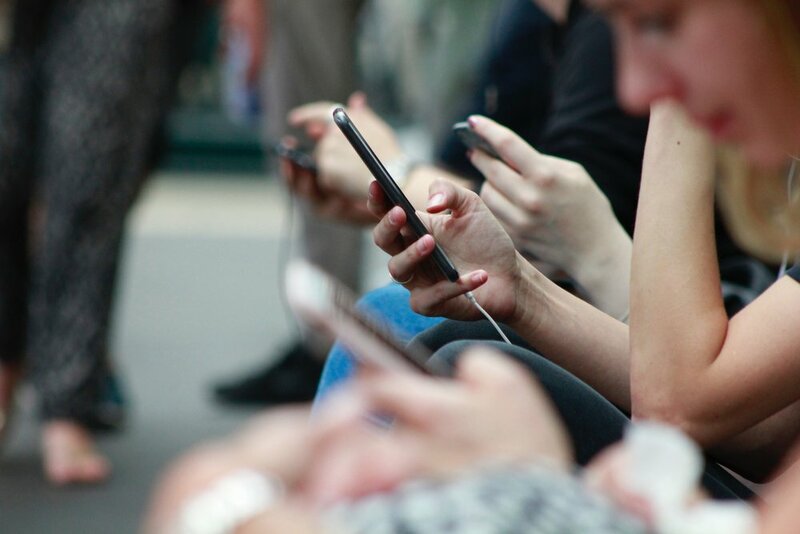 How you communicate with your audience should rely heavily on their behavior and patterns, so make sure you’re doing everything you can to learn about how they act on social media, how they use the internet and how they engage with your company or brand. If you don’t know these things about your audience, you can waste a lot of time, money and effort putting out great content that no one responds to. Knowing your ideal customer, what drives their buying decisions and how they like to be engaged can make the difference between mega-sales and hearing crickets. This is especially important if you’re launching a new product, program or service or changing target markets. Investing in some up-front research and monitoring real-time feedback can be what makes the critical difference to your launch success. One of the most underrated ways to communicate with your audience is to create good content that they can engage with. For instance, if you’re a business that focuses on helping entrepreneurs set up their back-end tech systems, websites or online tools, then creating blog posts or video tutorials can go a long way in helping you engage your audience. Or, if you sell a physical product, create content that allows your potential and current customers to discuss the products and leave reviews. You can talk about how your product fills your customers’ needs or desires, the outstanding qualities of your product and/or the story behind it. (Side note: It’s been shown that people will pay much more for a product that has a compelling story behind it.) And, you might even receive some honest suggestions on how you could improve them or make them suit the customers better. Struggling to make sales? Create offers and copy that convert. As you can see, effective communication and authentic engagement are critical to selling more, creating raving fans of your brand and gaining valuable insight into what your customers really want. And, as I’m fond of telling my kids, the best way to really get to know someone is to interact with them. For online entrepreneurs and any business that really wants to grow, this is key. So, how are you engaging and interacting with your ideal customers? What strategies have been most effective for you? Where are you still struggling with engagement or effective communication? I help heart-centered go-getters build wildly successful, purpose-led businesses and joyful, fulfilling lives by combining smart, practical strategies with powerful mindset and spiritual principles. Step by step I guide you through making the changes you need to go from overwhelmed, confused or just getting by to living an authentic, soul-aligned and rich life in every way. Learn more about what we can do together. 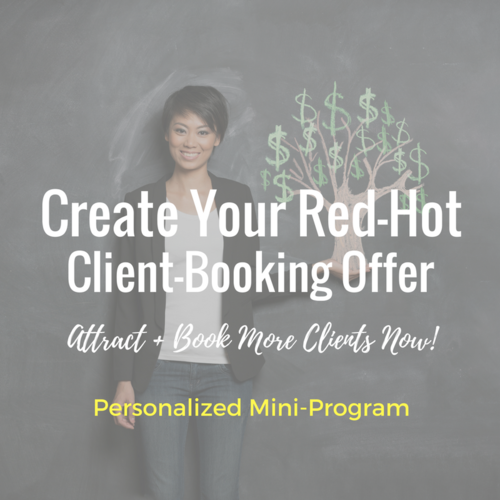 Stop running yourself ragged to earn way less than you deserve by serving private clients at low fees. It's time to package up your brilliance into your own signature system that gets clients get amazing results so you can charge more - and get it - with integrity and ease. Click Here to Profit Now!